Should Zara have withdrawn concentration camp uniform? Home Fashion Should Zara have withdrawn concentration camp uniform? Does a fashion line have the right to appropriate images and symbols as it sees fit? 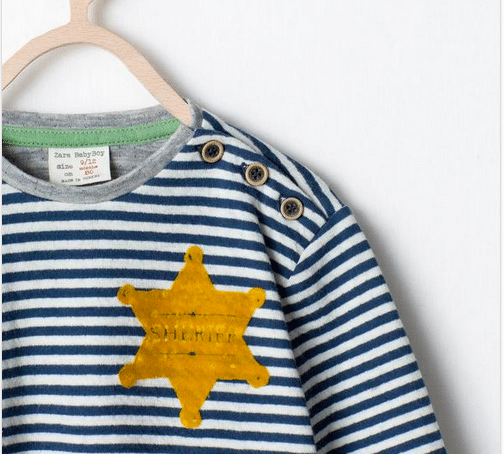 Zara has capitulated to outcry and taken down a kid’s sheriff t shirt after complaints the shirt looked too much like a concentration camp uniform as worn by Holocaust victims. The ‘sheriff’ t-shirt – featuring blue stripes and a six-pointed yellow ‘badge’ – sparked anger as commentators drew comparisons with the Star of David badges used by Nazis to denounce their Jewish victims. 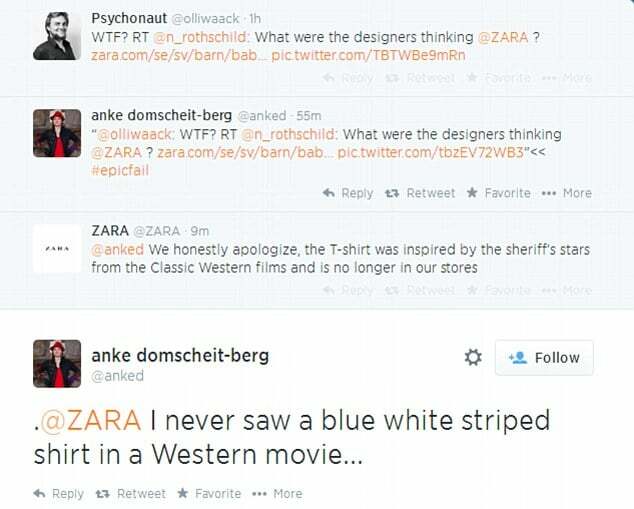 ‘I never saw a blue-white striped shirt in a Western movie’ and ‘Why the stripes? 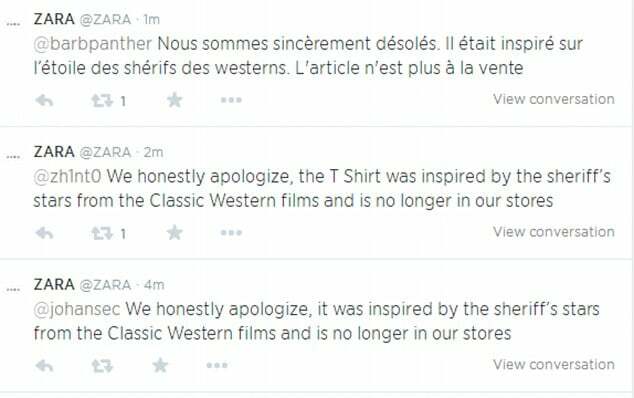 It wouldn’t be until today that the the retail chain apologized for selling the t-shirts and advising that they were now withdrawing the items. Offered a spokesman for Zara: ‘The item in question has now been removed from all Zara stores and Zara.com. 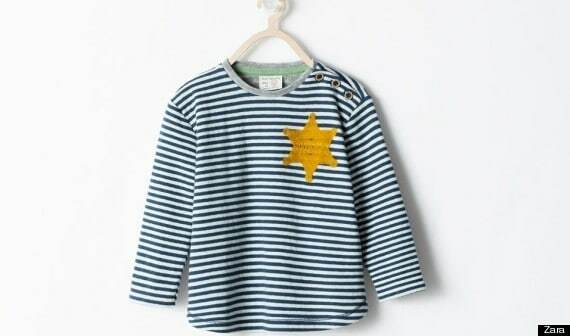 The shirts, which were for sale in the children’s section online in countries said to include the UK, Israel, Germany, France, Albania and Sweden, features horizontal rather than vertical stripes, and a six-pointed star. By Wednesday morning, a link to the shirt displayed a message saying the item was no longer available and redirected shoppers to a white-and-blue striped children’s shirt emblazoned with the French and Spanish word for “well,” bien. The ‘indiscretion’ as many have deemed it comes after the outlet recently came out with a new line of shirt, White is the New Black, which has led to many accusing the outlet of racism and a lack of taste, whilst others wanted if the act was part of a marketing ploy to bring attention.